The CA-10 control panel is designed for security of small facilities which do not require future expansion options of the system. The control panel can cooperate with external GSM/GPRS communication modules. What else can the new control panels offer you? 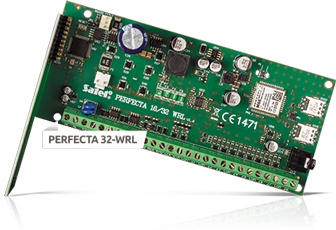 *SATEL's product portfolio includes four models of PERFECTA control panels: PERFECTA 16, PERFECTA 16-WRL, PERFECTA 32, PERFECTA 32-WRL. The table describes the features of PERFECTA 32-WRL.